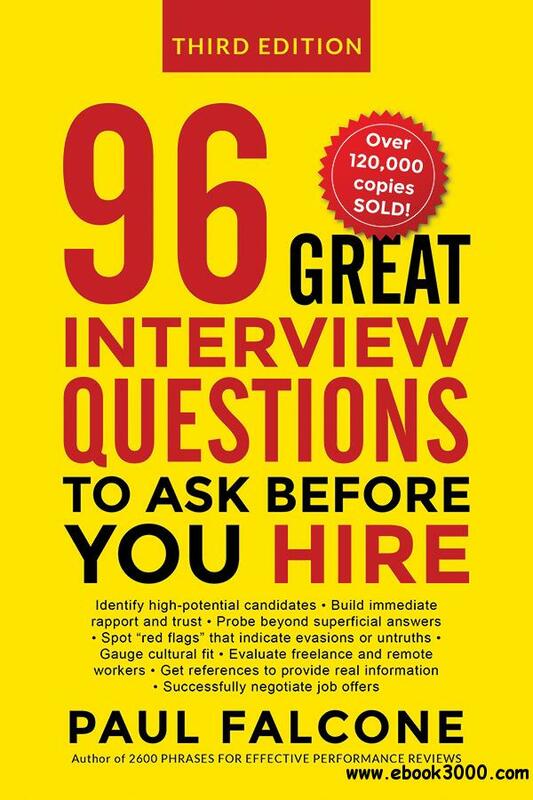 With more than 120,000 copies sold, this hiring classic gets results. Why do so many promising job candidates turn out to be disappointing employees? How can you consistently hire the right people at the right time for the right roles? Employment expert Paul Falcone supplies the tools you need to land top talent. The third edition of his practical and popular book is packed with interview questions, each designed to reveal the real person sitting across the table. What is the applicant's motivation for changing jobs? How well does he handle stress? Does she consistently show initiative? And more Complete with guidelines for analyzing answers, asking follow-up questions, checking references, and making winning offers-as well as new chapters on evaluating freelancers and onboarding successfully-the book simplifies the hiring process and puts people in place who can get the job done.